My Life Through My Lens: Can you find the Hidden Mouse? As we were looking at the displays one of the games was to find the hidden Mickey logo. If you have not noticed throughout the park the staff create hidden Mickeys in rides and in displays. I don't know about you, but I love Where's Waldo as a kid, and enjoy this life-sized version. See if you can find the images in my pictures. Can you see the hidden mickey in this picture? We had a blast searching for every last mouse logo. This is the side of the display, and yes, everything is edible. You can see the side of Stitch, the chef. Can you see another hidden Mickey? Rumor is that after the creation of the displays, the chefs invited children to stamp the Mickey in discrete locations. This entire horse was made of chocolate. Of course our day ended with fireworks! Wonderful mosaic of colourful fireworks! Beautiful! I would love to have a taste of the chef lol.. cool shot! Sweet Smile for Mellow Yellow Monday. i saw the hidden mickey, is it in the yellow box with green ribbon? a feast for a mouse! Mmm...all that yummy icing. Too pretty to eat, though! I loved all your photos and your wonderful fireworks mosaic ... and I had fun looking for the hidden mouse! I loved Where's Waldo and gave all the books to my nephews ... we sought him out together ... so finding the hidden mouse brought back lovely memories. As usual ... I've shared mosaics at three of my blogs though I love the way you've multi-tasked again. I like your Mellow yellow Monday shots pretty gifts. It took me awhile but I finally found both Mickey's. He's a little small. That is an amazing display of fireworks. You did a nice job capturing all the colors. saw those mickies! 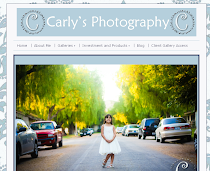 :) great photos as always Carly! hugs! 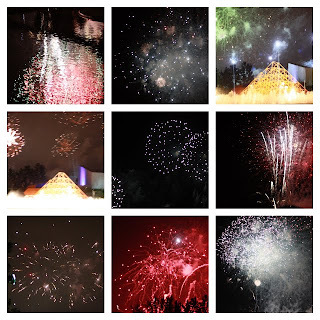 Loved the photos and the fireworks mosaic. Beautiful fireworks! My post also features chocolate. Click here to see my post. Loved looking for the mouse, great fun! What beautiful fireworks! Especially grateful to see them as it is about 28 degrees here and going to snow soon. :) thanks for sharing, Carly!